Home Optimism How Long Can You Go Over Your Oil Change? One the long list of things that can go wrong with your car, changing your oil after the recommended period can fall to the bottom. When you think about it in the grand scheme of everything that can go wrong getting your oil changed sometimes falls lower on the list. Sure, you have the major things you need to worry about like your brakes or the transmission, but how many miles can you go over your oil change? Before all you gear heads start flooding the comments with hate speech and ratios, Critical Financial is about saving a buck or two. So, with this post we are going to see if your car can actually survive is you miss a scheduled oil change or two? Often mechanics will tell you that you should change your oil every 3,000 to 5,000 miles. 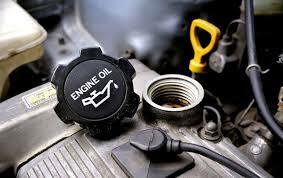 Changing your oil is paramount to prolonging the life of your engine. 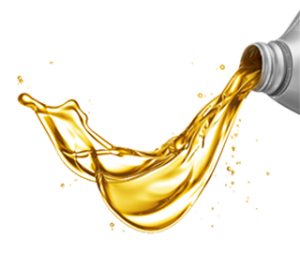 Clean oil makes your engine run more efficiently. In turn, this saves you money on the backend allowing you to travel longer. After all those miles on the open road, your engine collects sediment; most of that sediment settles in your oil. Too much sediment in your oil can clog up injectors and cause dangerous sludge to build up in the engine. So, as a rule of thumb, automotive professionals have a standard to keep the engine going. But, for the most part, if you go over your normal change cycle you will not do much damage. A couple thousand will not kill you. It may slow you down a bit though, but how many miles can you go over your oil change? For the most part, your engine will run perfectly fine if you go over the recommended mileage. Most of the time if you are able to tolerate it, you can go about 5,000 to 6,000 miles over the recommended mileage change. In fact, depending on the age of your vehicle you could possibly go over about 7,000 to 10,000 miles. In theory, you could even run your engine without oil if you wanted to. The engine will still run the same as usual, however, you should never run your engine without oil as it will do permanent damage to your car. So why does the auto industry want you to bring your car in every 3,000 miles? According to Times.com, most oil companies push for you to bring your car in for more profits. 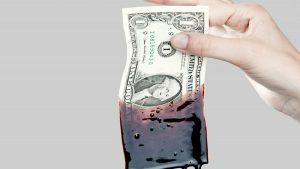 Oil changes are relatively inexpensive, but if you do the math they can add up after a while. For example, say you want to have your oil changed in one of those “QuickOil” drive-thru places. Every change you get the premium package which costs about $80. This is about $320 not including the time the technician spent changing the oil. This can quickly add up over time depending on how long you plan on keeping your car. Most cars will tell you when you need to change the oil. Cars manufacturers have advanced enough to tell the driver when to change the oil in the engine. Usually, the check oil light will come on when you need to take your car in for maintenance. Often this light will come on well past the recommended three-month mark. For the best results, you should always read the car manual when you first buy your car. Doing this, along with regular upkeep and maintenance your car, you should have a long-lasting engine for miles to come.